Discussion in 'Legal Issues and Dispute' started by tithidomaintrade, May 15, 2015. I have GeAnalytics.com, would I get sued by GE in future? It looks like GE already has an analytics system, and I can't see what else the GE would stand for in this context, so that seems like a fairly risky domain to own. 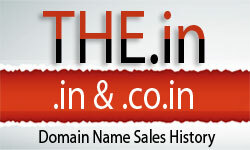 Why did you register the domain name? Yes, they will have the option to take everything that you own now and in the future. You are potentially in very serious trouble. However all this just a "partially for fun", counter argument, first off - why even register that name, what was/is your intent? yes there are risks of being sued by GE.